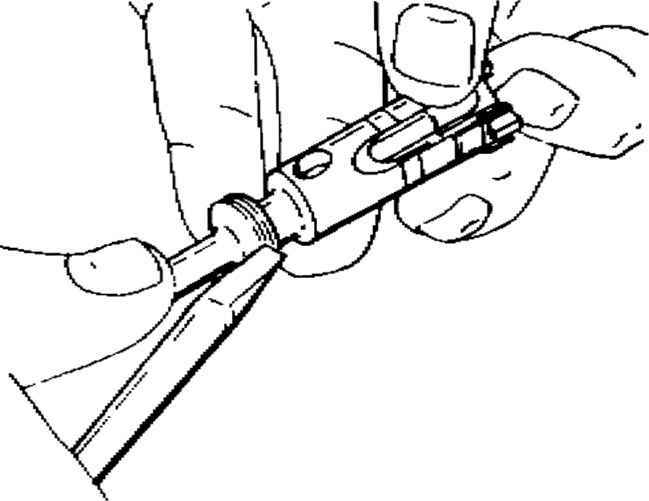 Using flat tip screwdriver, re- Do not remove unless rings move the three bolt rings from require replacement, the bolt. Visually inspect for cracks, kinks, and bends. If one or more bolt rings are damaged, replace all three rings. See page 3-13 for wear check. location item action remarks b. Bolt Inspect bolt for elongated or oversized firing pin hole using special not-go plug gage 12620101. 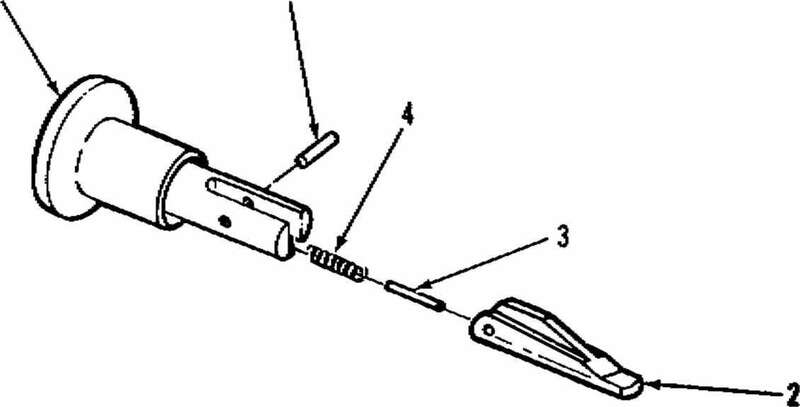 Firing pin holes which permit the special not-go plug gage to fully penetrate at any position on the circumference will be rejected. Bolt face defects of large pits, or a cluster of pits, covering an area measuring approximately 1/8 inch across and more than approximately 0.010 inch deep, will be cause for rejection. Bolts that contain pits extending into the firing pin hole will not be rejected unless firing pin hole gaging check determines excess wear. Rings on the bolt face (machine tool marks), grooves, or ridges less than approximately 0.010 inch will not be cause for rejection. 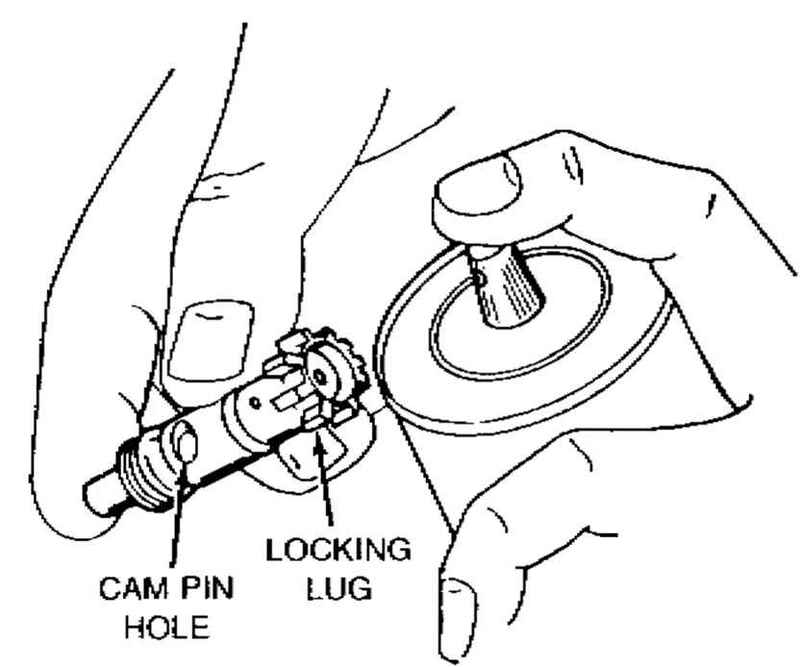 c. Bolt locking lugs and Inspect for cracks in the locking bolt cam pin hole iugs and cam pin hole area. Use black light if available; oli lorwise, use a glass of no more than 3X magnification or use a penetrant kit (item 14, app D). The area to be inspected must be clean, free of oil, etc. Spray a small amount of remover on the area to be inspected, let dry, and wipe off with a wiping rag (item 15, app D).